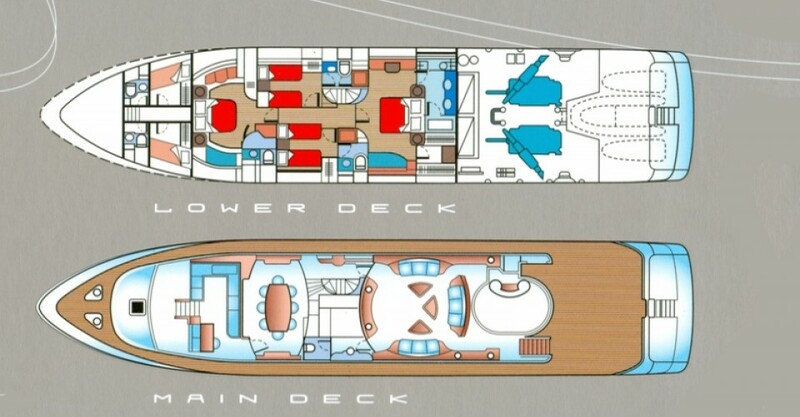 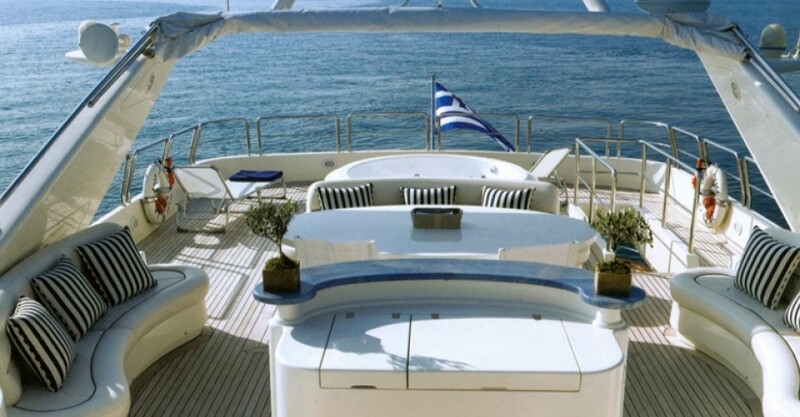 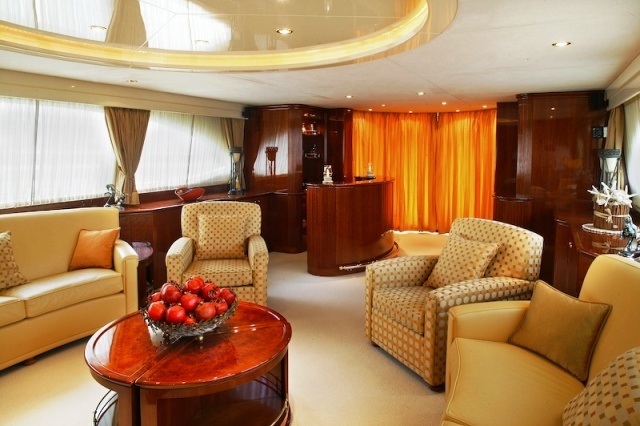 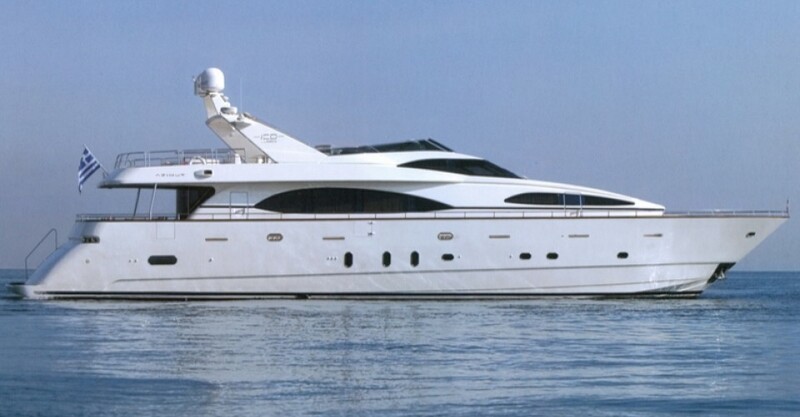 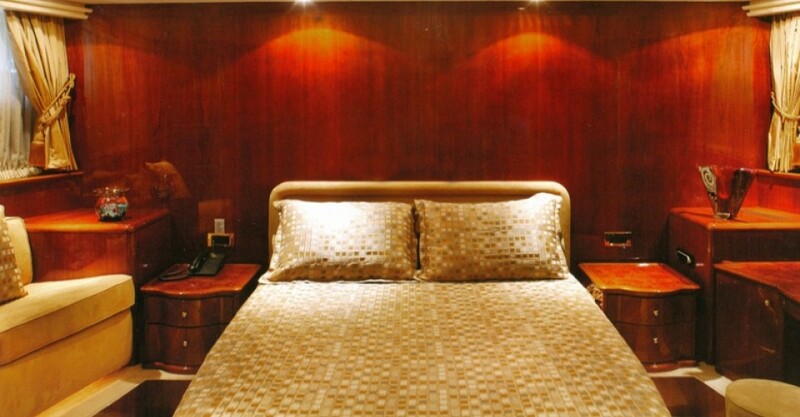 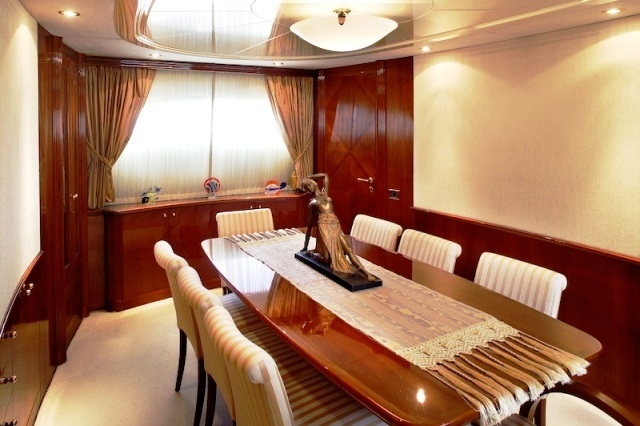 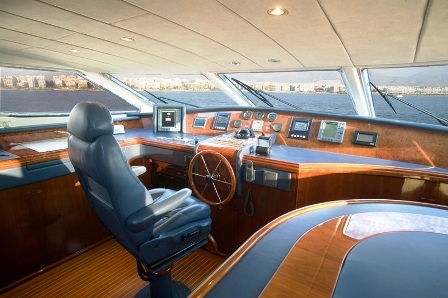 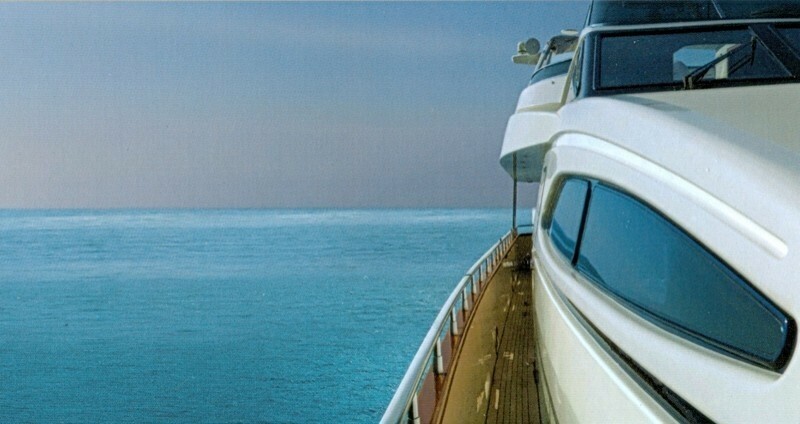 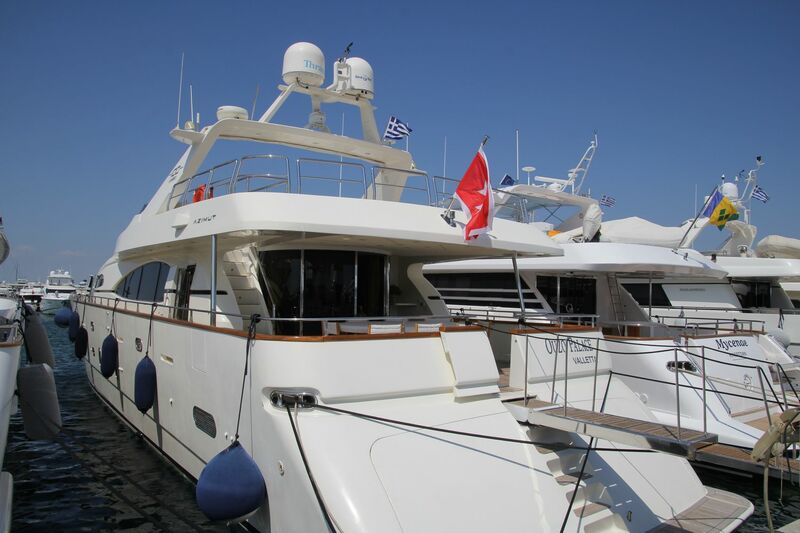 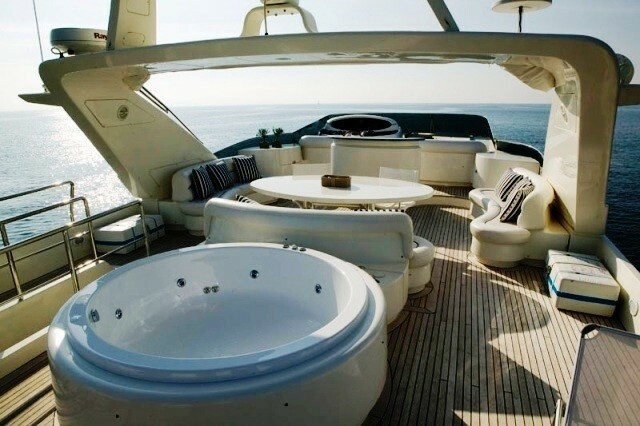 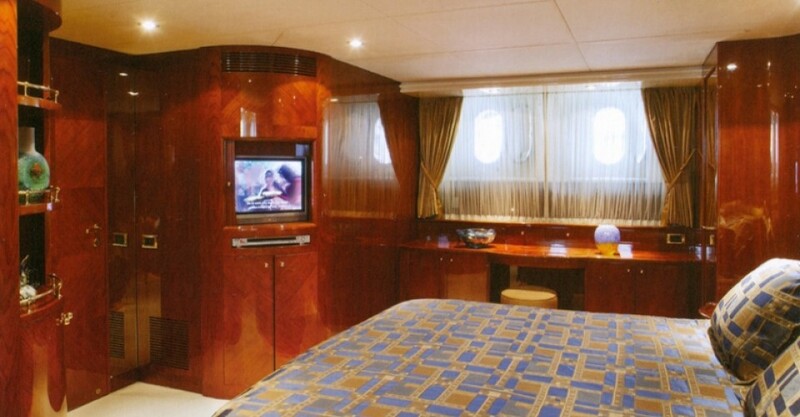 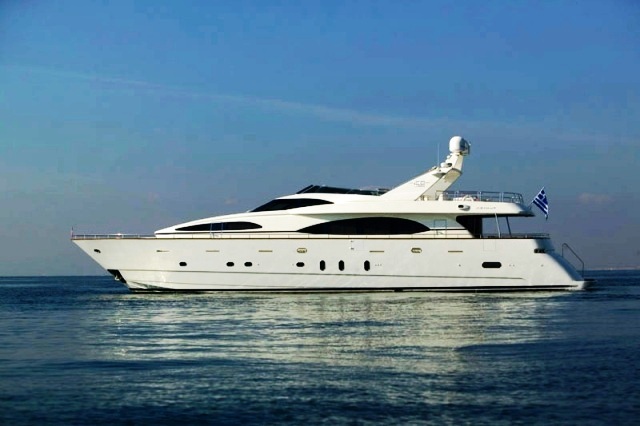 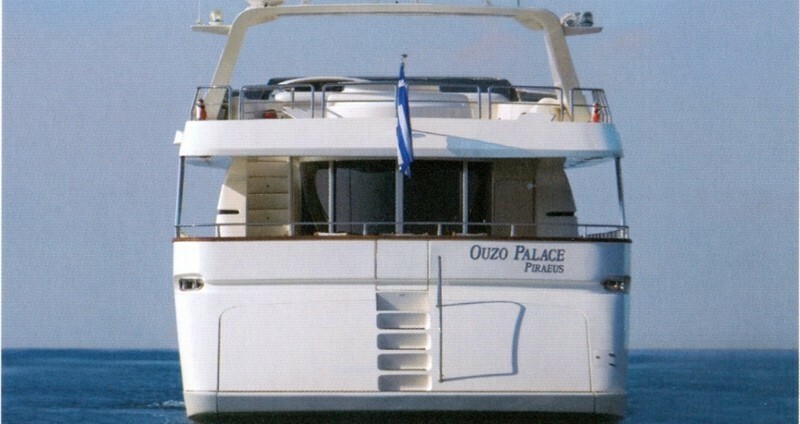 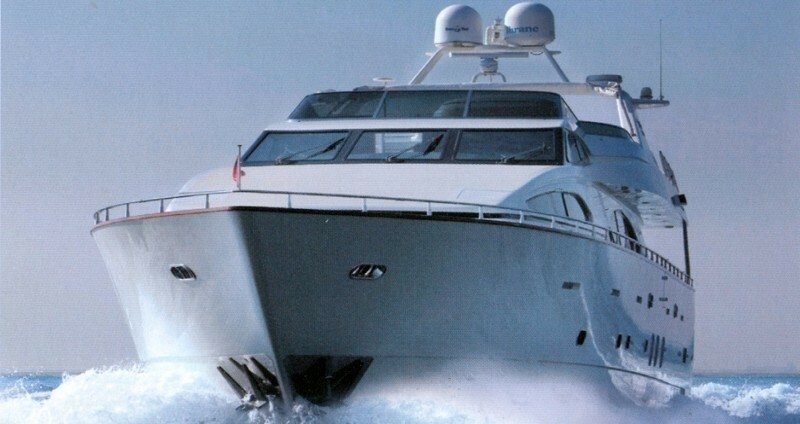 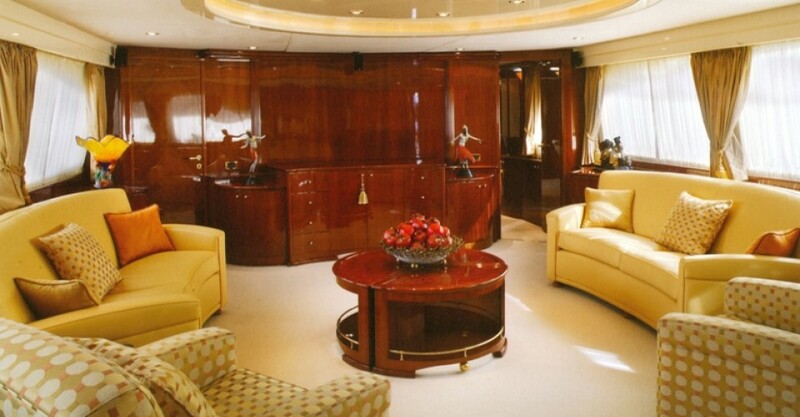 M/Y OUZO PALACE is a 31 Meters 101 Feet 2004 Azimut motor yacht. 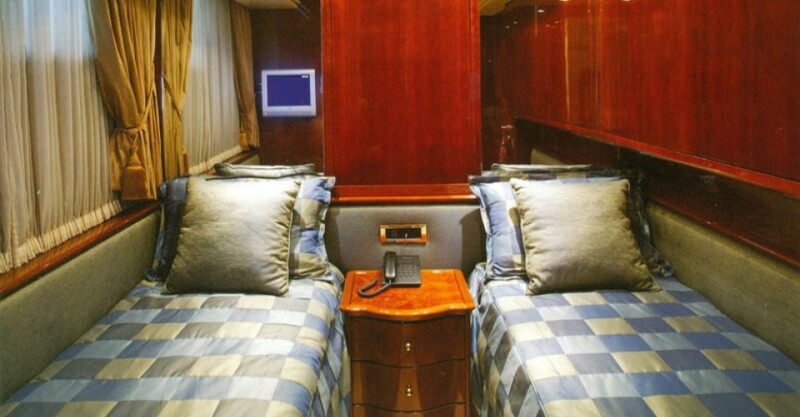 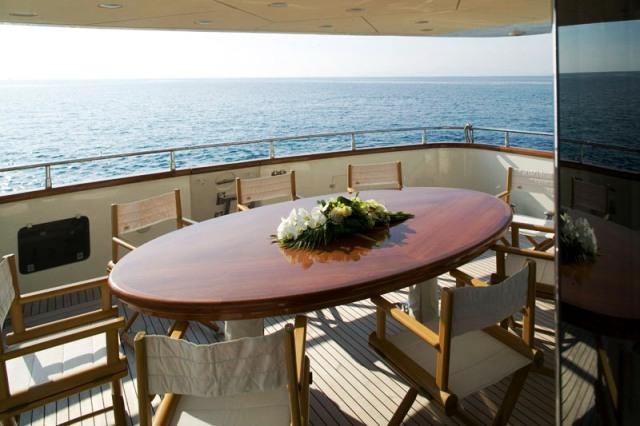 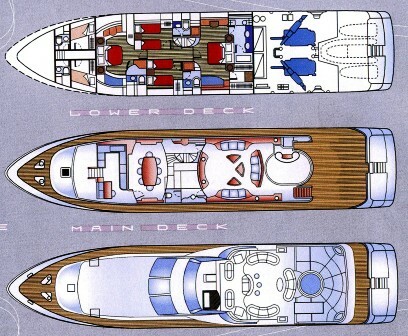 Stefano Righini is the naval architect and exterior designer, whilst François Zuretti designed her interior. 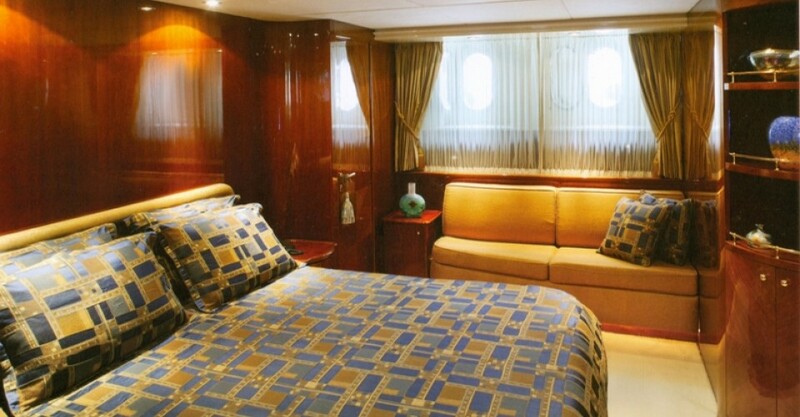 She offers accommodation for 8-10 guests in 4 well appointed cabins. 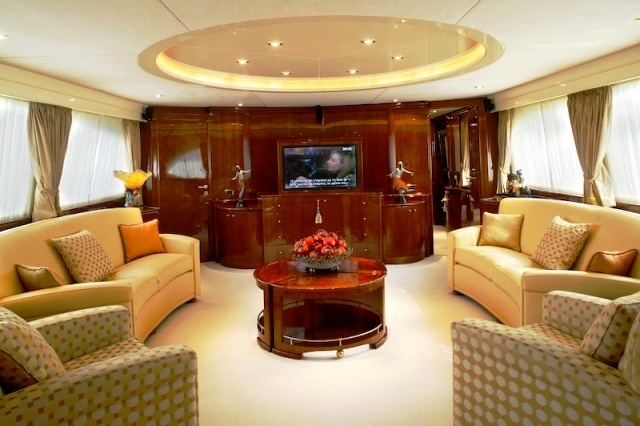 Her interior is comfortable, with a nice large salon with settees around a circular coffee table, and plenty of space in the interior dining area to enjoy lovely meals with family and friends. 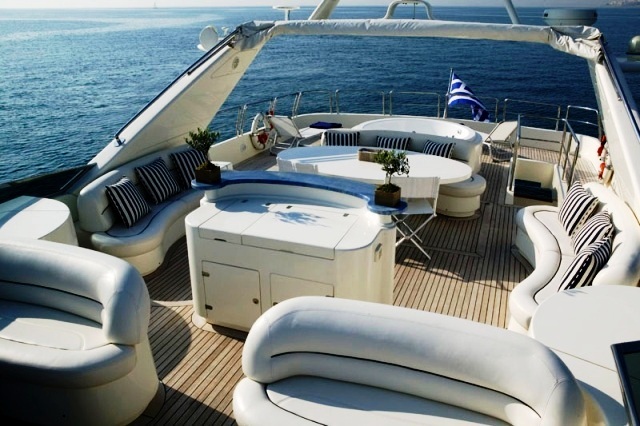 The upper deck is beautiful, with a comfortable seating area which is perfect for evening drinks or lounging in the Jacuzzi.